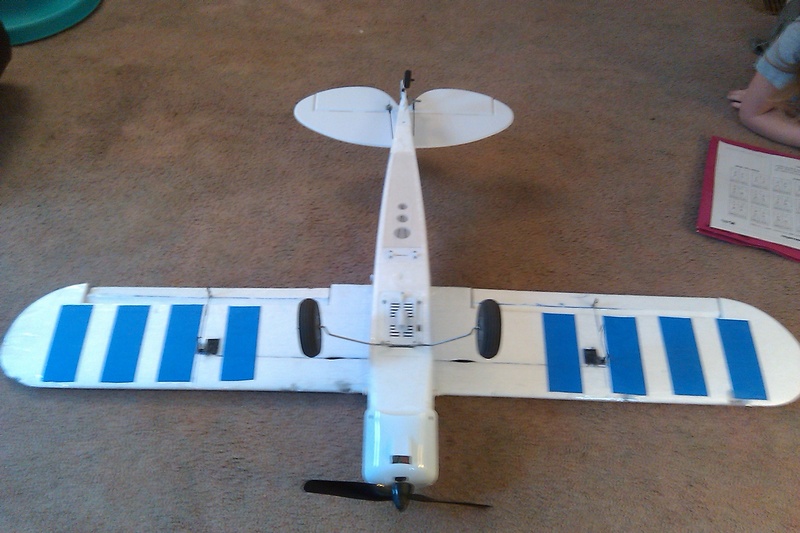 So the other week i get this r/c bug back, and i was dying to fly something airplane. i did my research and i thought i was ready to get into the saddle and fly. i visited some hobby shops and found an old tiger trainer .40 super combo with everything to fly for $150. so i thought it was a perfect start. i waited for a good day to fly and i went for it. and guess what the noobie did? 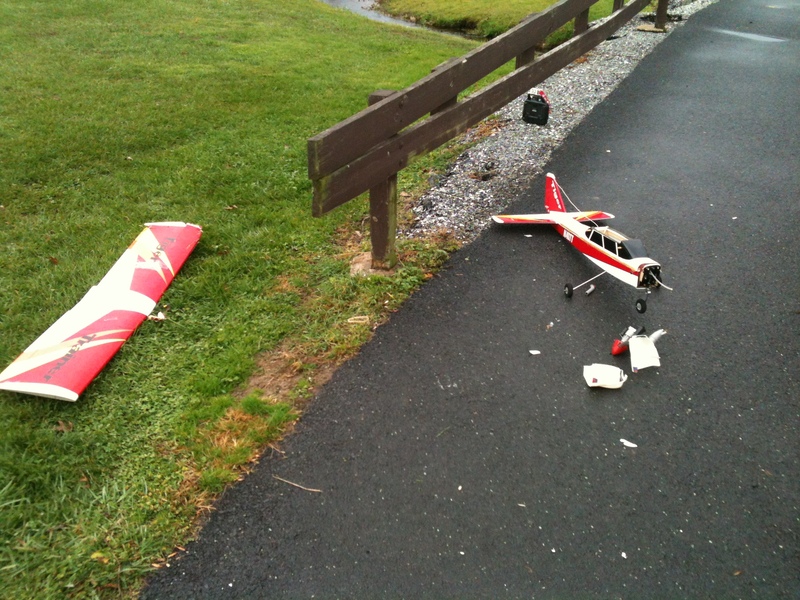 i never balanced the plane and i flat-spinned it into the fence at the other end of the field. so then i had to fix it. after almost giving up on trying to fly again i decided to fix and fly it again. regaled the engine wall, new mount, new control horns, $50 and some good advice, i tried again. i got it up, this time with some encouragement, and she flew like a trainer! (or how i thought she should) almost nosed it into the parking lot. rolled right instead of left, and nosed out at the last second. and it was a successful flight right? no... i came in for what looked like a beginners luck super landing, and messed up my depth perception. i soccer goaled the trainer into a metal goal. If you can buy a small electric trainer such as the Bixler or the Super Cub, go for that. They are made of foam, and they don't need extensive repairs every crash. Guess who was not better at you! I didn´t realise there was something like a CG on the first Easystar I got with my brother. We nearly crashed it 9999999 times but we still started flying with it and now I fly a little more intermediate level stuff and that is really fun to fly. A Easystar and Co. is always a very relaxed thing and doesn´t fly fast so you have plently of time to correct. As i wrote here, i strongly recommend buying a simulator. For 20$, more or less, you get a remote control that's just looking and feeling like yours (or if you have a trainer plug on your real RC, there are "adapter" cables). There is a lot of good flight simulation software out there, even free one like FMS (Flight Model simulator). So you can practice without crashing a real plane. You'll see, after training in a sim, flying the real plane is a lot easier, because you don't have to think all the time, what your thumbs should do - and because the thumbs already '"know", you have more time to react and way more fun at flying - and that's what this hobby is for. Maybe you give your trainer another chance and learn to fly it well on a sim. Example: Your plane suddenly banks right. What are you going to do? Break out in panic and keep argueing "I didn´t to anything" after the crash or correct it with a simple stick movement? yea, i actually just was flying in a terribly big park, but if there are any cars/people i won't take off. i keep getting frustrated with the trainer, but i still go back. a few episodes of flite test and I'm re-enthused. i actually just finished with my "repairs" maybe if the weather is better tomorrow ill give my rigged repairs a shot. after i retune the gp-42 and rebalancing it. also i have thought hard on the sim but i like the feeling of the weight of a mistake. 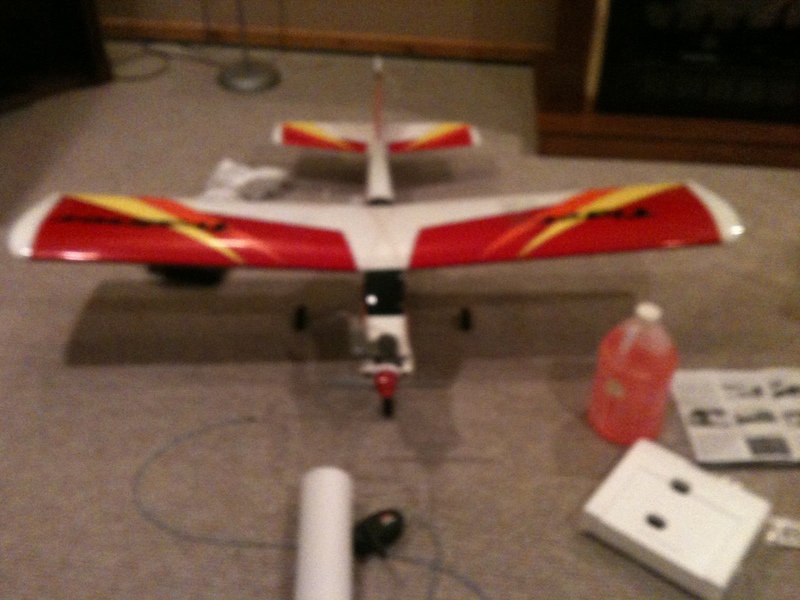 if i mess up and crash its a big deal and that way i don't intentionally give up or stop caring about the plane. a sim would be fun, but i also run macs, (hate pc personal choice lol) and so most sims won't run. it would become more fun than educational training and id get cocky with the stick and wreck it. i know myself too well for that. still, i might get a bixler sometime in the future for something easier to fly. I have learned so much and my skills are measurable better after the sim. Plus it is just a lot of fun. Great investment for me. Purchased the second one first and use my DX6i with it. Had so much fun I updated to the newer one. I do not see how people learned to fly before sim's. Had to be very painful. I tried years ago and never made it. Check out page three of this for screen capture shots. Will add more over time. Way to much fun. If you go for the first one, let me know. Will give you links to planes you can download and add. i like it but its WAY out of my price range atm. maybe after i ship for basic for the USAF ill invest, but part time pet store and gamestop pay wouldn't cut that cake... i would afford a new arf for that and fix it a few times. unless I'm reading the wrong spots, the cheapest one won't work on mac right? Both will work on Mac. Dig a little on there website. Kind of hard to find, but it is there. When do you ship for the USAF? Hope it all works to good for you in the AF. Valentines Day, Feb 14th. Great day to join the world's most advance air-force. We at home have to make the changes in our gov next year to keep it all the best. Good luck. I have gotten in a good habit of having a better builder/pilot check and test fly my nitro planes after anything crazy whenever possible. They have saved me a bunch of heartbreak and hours building catching little things that would have turned big. If the big nitro is too much to learn on, the bixler or supercub are perfect. I can personally attest to the durability and pickup truck toughness of the hobbyzone supercub. You can have everything 75% wrong and it will still fly. A good thing since a bunch of us noobs were teaching ourselves to fly with them and no experienced pilots around. Simulators are great for certain things. I use Pheonix to keep me in shape for flying heli's. However if I was flying a simulator and not a real plane I'd have lost interest pretty fast. It's hard to get excited about flying a simulator, but I've never had a bad day flying my foam cub. The Phoenix sim is better for helis, the Realflight is better for planes. I got the pheonix because I wanted to spend less fixing heli's and it's paid for itself many times over. After just a few days on the simulator I was able to confidently hover my blade 400 and start doing basic manuevers like figure eights. I just checked the website and it looks like you have to have a program to run windows on a mac to make it work. Do you have some pictures of this tiger trainer? reason i painted the top of the airfoil was to have some color to make it easier to see if I'm looking at top or bottom. its not pretty, but it works. im not any great repairman, or pilot, or anything. but i hope she still flies so i can learn. i can't afford anything else for a few months really... so this is what i am stuck with until i buy something smaller and less expensive to crash. Looks good. Great idea having a different color. 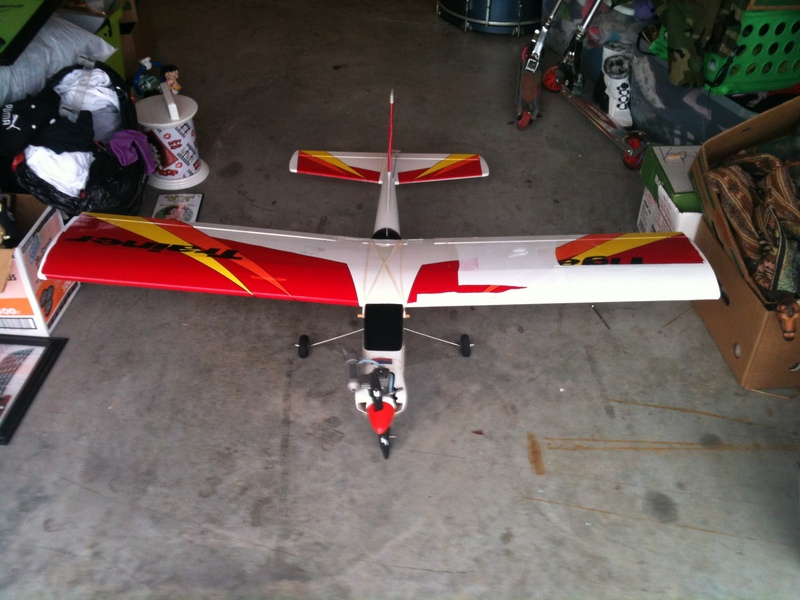 I took blue 3M painters tape to my Hobbyzone Supercub after I put in a new fuselage with my modded wing. I put four straight lines down each side on the bottom and now it's way easier to tell which is up than it ever was. 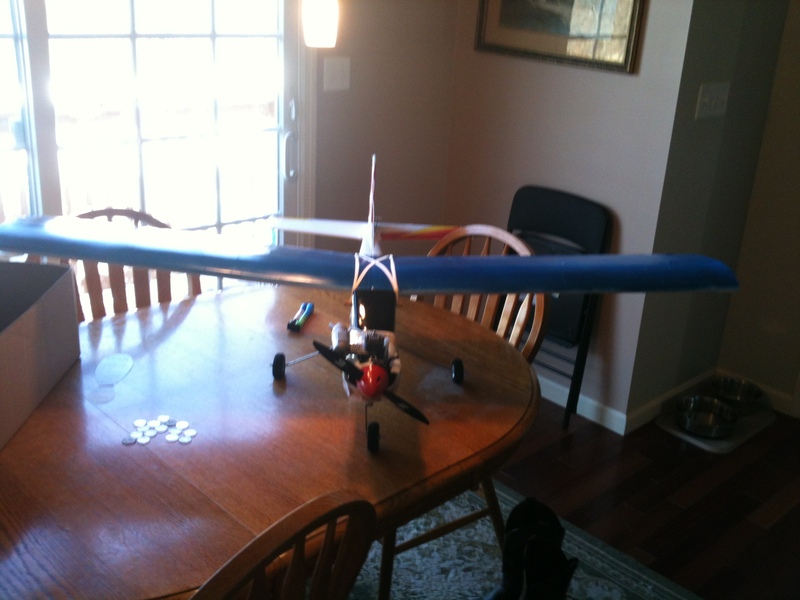 Especially nice now that it's got an insane roll rate with the ailerons and stuped fast with a brushless 480.